New store owners, designers and international brands trying to enter the US fashion market, you need to know the calendar of seasonal selling, delivery and shipping dates to retail stores. Presented, is a traditional calendar guideline used by the fashion industry for decades. 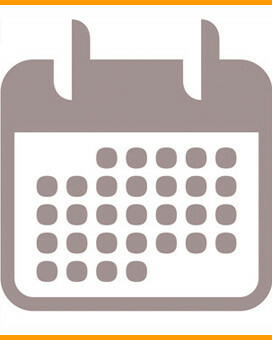 The buying calendar combines season buy dates with shipping dates. There are months of lead-time between presenting your collection to buyers and when it is delivered to stores. There are changes in progress. March 2016: The Council of Fashion Designers of America, CFDA, released it’s study undertaken with the Boston Consultancy Group, Examining the Future of New York Fashion Week. The topics: delivery cycles, buy now wear now merchandise, and in-season relevancy. The study’s unanimous consensus: the time is ripe for change in our market. CFDA will facilitate the dialogue between brands and retailers to gradually adjust deliveries to the season over the upcoming year. This conversation is not new. Fashion industry executives have been griping about the consumer’s need for in-season merchandise for decades. It’s the “internet of things” that has brought the reality of delivery cycles to a boil. Finally! Brands you have to do what is right for you. If you don’t have a substantial direct-to-consumer base, your retailers are in the driver’s seat. It’s time to initiate conversation with your sales reps and buyers. Ask: what season they want delivered when. In the apparel business timing of product development, production, marketing, and presentation is critical. Manufacturers of seasonal, fashion products may have six selling seasons per year and offer five lines for each season, while manufacturers of basic, staple products have only one or two seasons a year. (Fast Fashion is another story all together.) Your seasons may vary slightly and will coincide with your Sales Representatives selling seasons. In recent years there is a tendency for some retailers to have new items sell on a continuing basis rather than for specific selling seasons. In the women’s apparel industry, four to six collections a year are typical. Fashion Week in New York takes place in September as does New York Market week. West Coast Market follows as do other regional shows in the US, which are still running well into late October. Fashion Week in New York takes place in February. West Coast Market follows as do other regional shows in the US, which are still running well into late March - mid April. In the past, Menswear manufacturers presented two collections of classic clothing each year changing fabrics for seasons. Today on the strength of the menswear market many brands now produce highly styled clothing with seasons, lines and style now paralleling those of women’s wear products. The two key menswear market’s are January - February for Fall buying, and July - August for Spring/Summer merchandise. January market is a topic of debate in the accessories industry. Many believe this market should be eliminated as it has diminished in importance over the years. Retail buyers that skip the January market buy Spring and Summer merchandise in November.